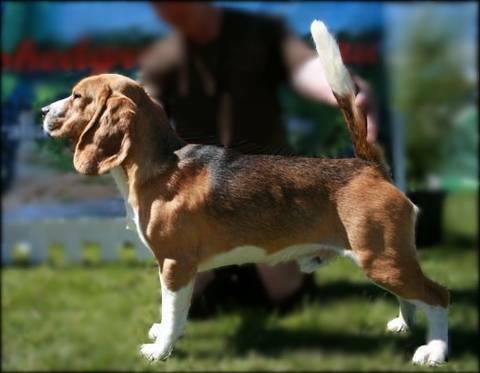 My interest in Beagles started in 1979 when I bought "Timmy" alias Dakinbrook Statesman in Yorkshire, England. When I came out to Australia Timmy came with me and loved his changed environment. In 1995 Zachary (Ch Jansline Zachary) made his home with me and my interest in conformation began. My prefix "Teviot" was an obvious one for me to choose as, although Australia is my adopted country, my roots originated in the small town of Hawick in the Scottish Borders and the "River Teviot" flows through the town. Now I would like to invite you to meet "the clan". Although the Beagles in the following pages are either owned, bred or registered in my name they do not necessarily reside at my address.